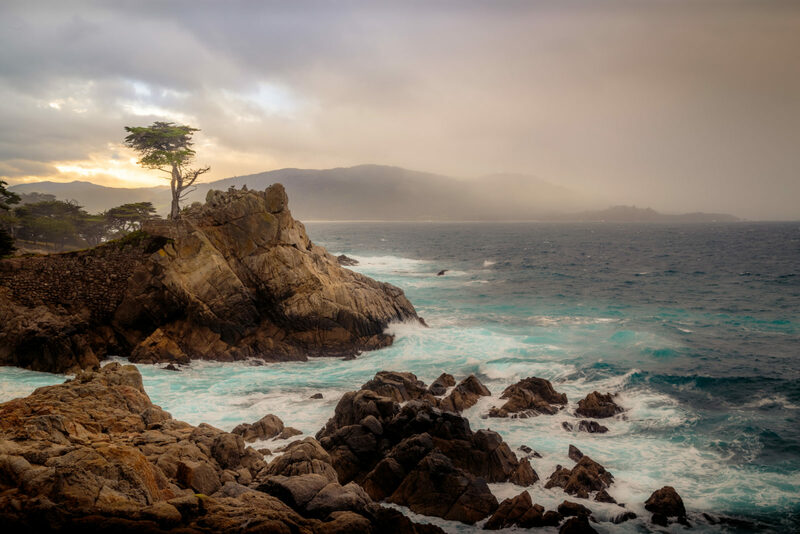 Located off 17-mile drive in Pebble Beach, the most photographed tree in America, the lone cypress, during an overcast sunrise. This tree is estimated at 250 years old, and it's flat-topped appearance indicative of this species is as a result of the strong winds that are typical of California's central coast. This tree, to me, is a strong symbol for resilience.